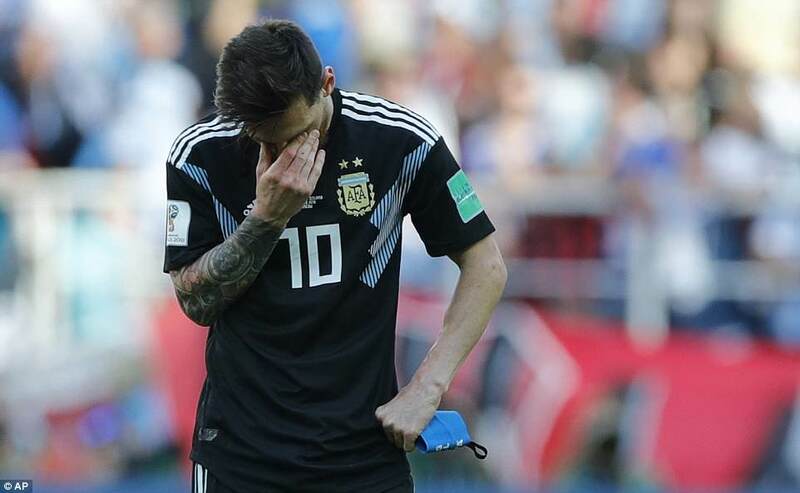 Argentina captain Lionel Messi missed a second-half penalty as his side were held to a 1-1 draw by World Cup debutants Iceland in Group D on Saturday. Sergio Aguero gave the South Americans the lead in the 19th minute with a brilliant finish on the turn from 12 meters. But Iceland, the smallest-ever country by population to qualify for the World Cup, equalized four minutes later when Alfred Finnbogason swept home a loose ball from close range. Argentina were awarded a penalty in the 64th minute for a push in the back on Aguero by Hordur Bjorgvin Magnusson. However, Messi’s weak effort from the spot was saved by goalkeeper Hannes Por Halldorsson. Nigeria will take on Croatia in the second fixture of Group D later on Saturday.